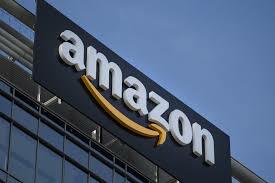 Amazon on 11 September announced it has created more than 22,000 seasonal employment positions across its India network this festive season. Amazon claims to have created 22,000 seasonal employment positions across its India network. The e-commerce giant said the employment positions have been created at its fulfilment centres, sortation centres, delivery stations and customer service sites. These positions have been created in Mumbai, Delhi, Hyderabad, Chennai, Bengluru, Ahmedabad and many other cities across the country, it said in a statement. In our effort to provide a seamless shopping experience, we are excited to announce that we are enhancing our teams significantly with two times the number of associates working in the Amazon fulfilment network and customer service sites," Akhil Saxena, Vice President India Customer Fulfilment, Amazon India, said. "The over 22,000 seasonal associates will help in augmenting our capabilities to serve our customers better and enable us to deliver consistently high levels of customer experience," he added. Associates who have been provided opportunities, specifically for the festive season, will join the thousands of associates at Amazon's 41 fulfilment centres, 15 sortation centres and close to 150 delivery stations across the country to help pick, pack, ship and deliver customer orders more efficiently. Amazon has 13 customer service sites across 12 cities and provides voice support for customers in Kannada, English, Hindi, Tamil and Telugu. The customer service sites support Amazon customers in India with pre and post order customer service through various mediums like email, chat, social media and phone.